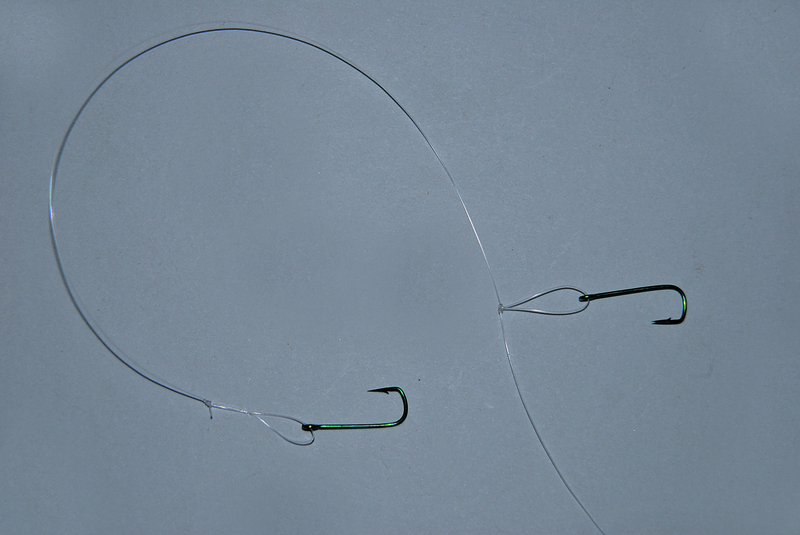 Centrepin reels like this are ideal for targeting luderick as they allow the line to peel off the spool with minimum resistance. 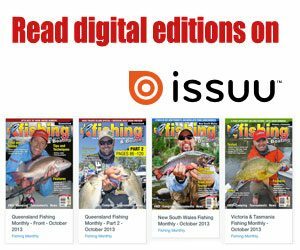 Alvey make a good portion of the blackfish reels readily available with a total of six models that vary in price from $100 to $260. 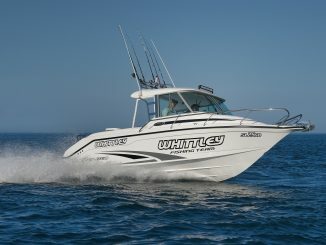 I use the base model (475B) and it does the job perfectly for me. 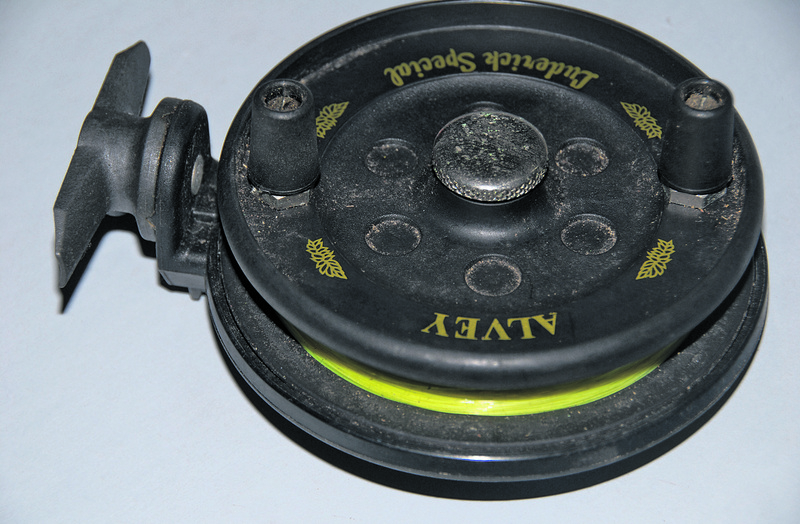 Note that when spooling these reels that you do not fill them right up as you would other reels. 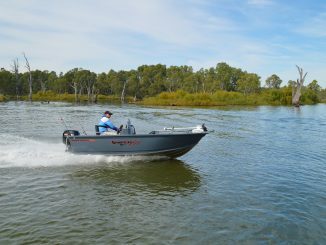 Due to the close-in style of blackfish angling you will only need around 30-50m of line. 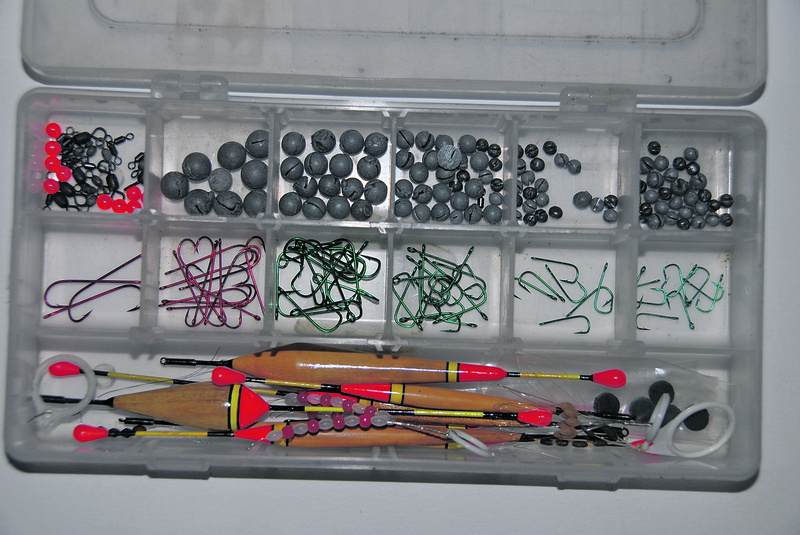 A small 3500 size box (from $8) is all you will need to store all your basic tackle. In this there should be some small strong hooks (such as a sneck pattern), generally in sizes between #6 and #10 (from $5 a packet), some float stoppers (from $3 a packet), assorted small split shots (from $1 a packet) and some small swivels (from $3 a packet). 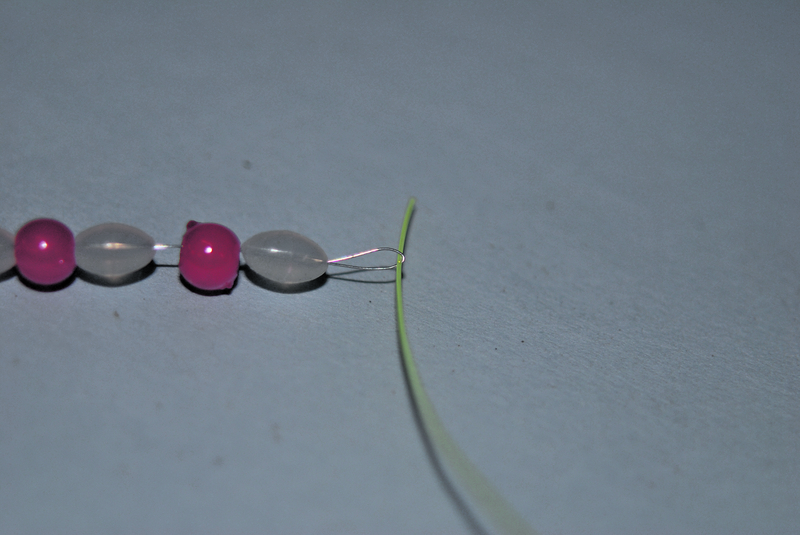 You will also require some small beads but these will probably come with your float stoppers. This box pictured is my personal selection and also contains some #8 and #6 long shank hooks and small pencil and quill floats (not used for blackfish). 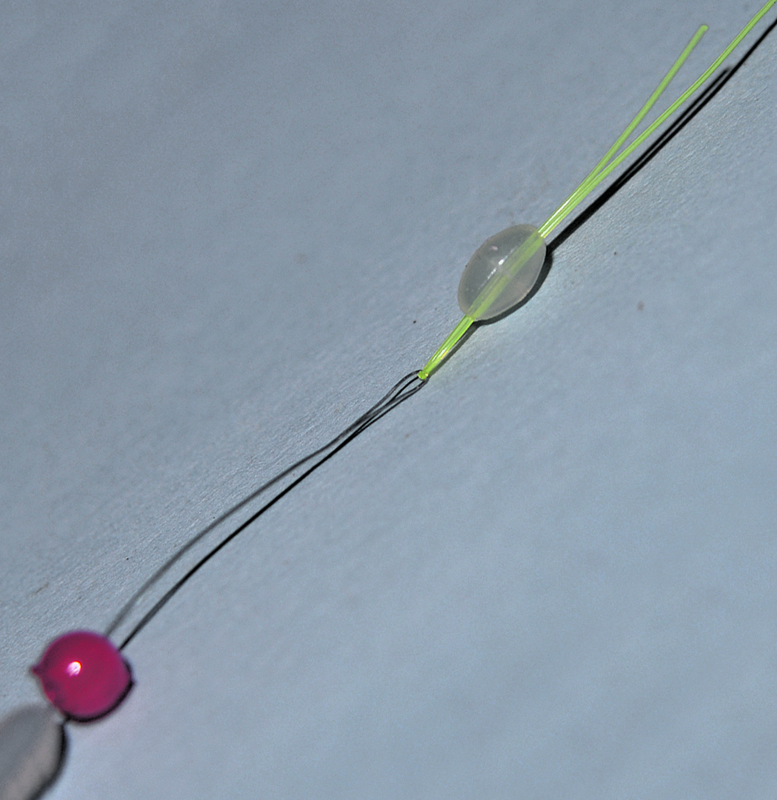 These I use when targeting garfish and mullet on dough baits with the same rig. 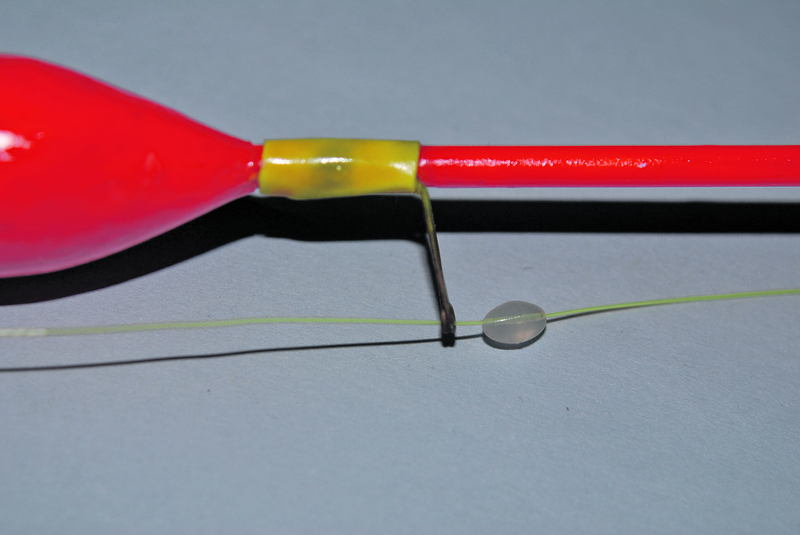 Float stoppers do just as their name suggests – they stop the float from running too far up the line. 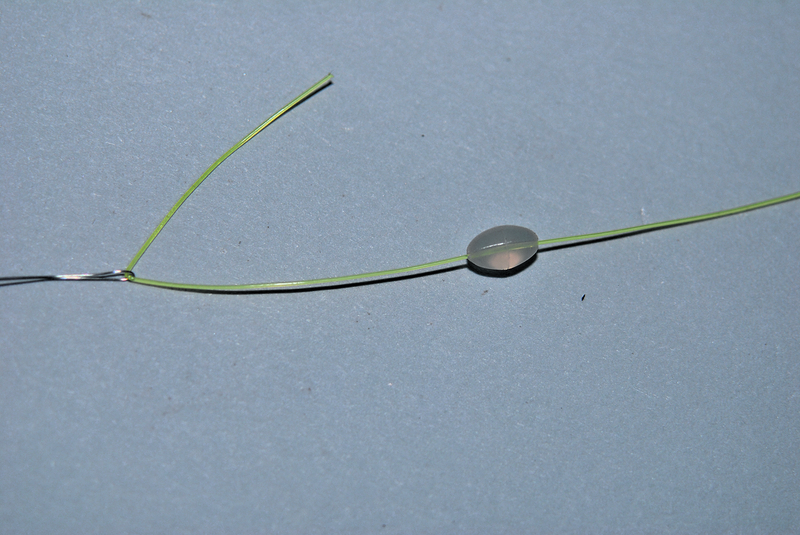 These small rubber beads are small enough to be wound through your rod tip when retrieved but will not permit the float to proceed past them up the line. 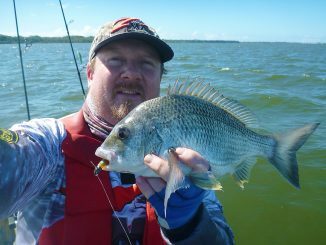 They allow you change the depth at which the bait is presented below the surface by simply sliding them up or down the line. They are the first thing to be put on the main line. 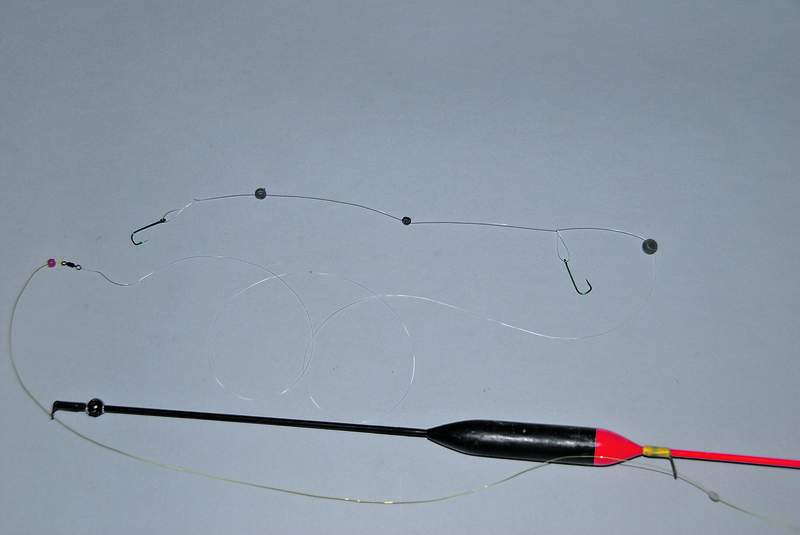 To do this, firstly pass the end of your main line through the loop of fine wire that the float stoppers are provided on. Once passed through the bottom eyelet, place a small bead on the line and then attach a small swivel with a blood knot (or similar). 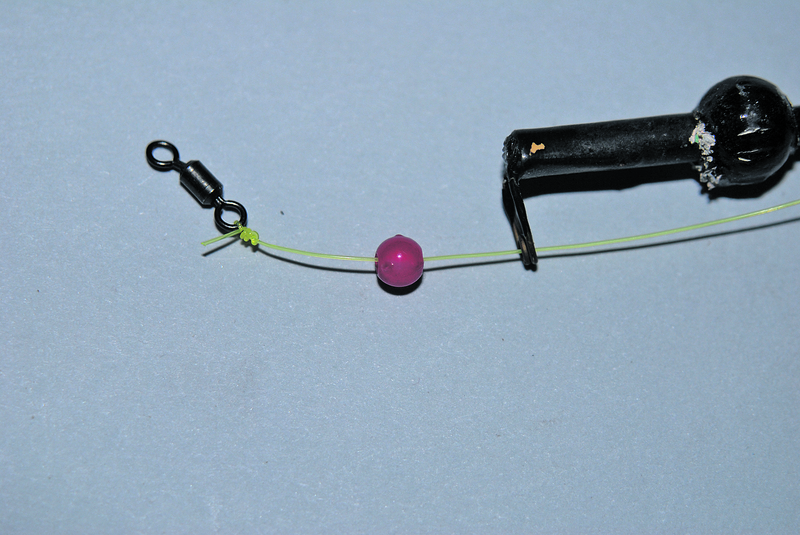 The bead stops the knot of the swivel jamming on the eyelet of the float, which would restrict the bait from sinking down once cast out. You will need to crimp some split shots onto the leader. 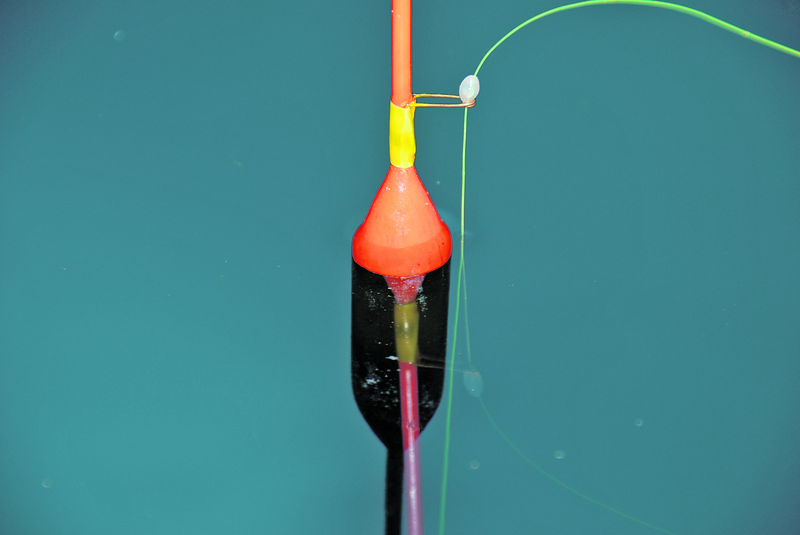 Use a few small ones between the hooks and the larger ones further up. 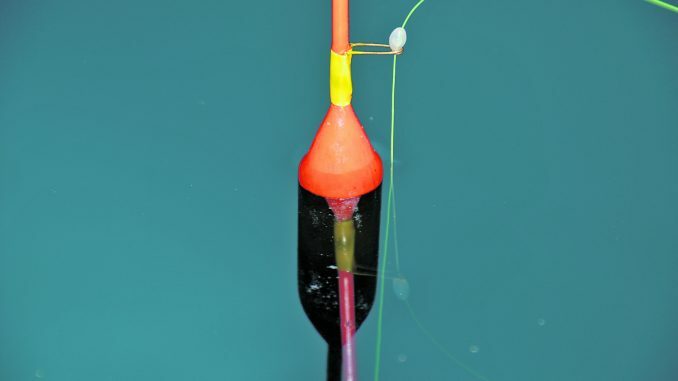 When the rig is in the water, you want the float to virtually all be below the water except for the top of the bulb and the upper stem. 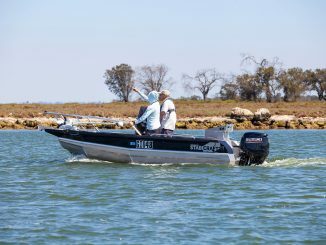 Once you have used a float a few times you will know how much weight each requires to get the float just above neutral buoyancy. 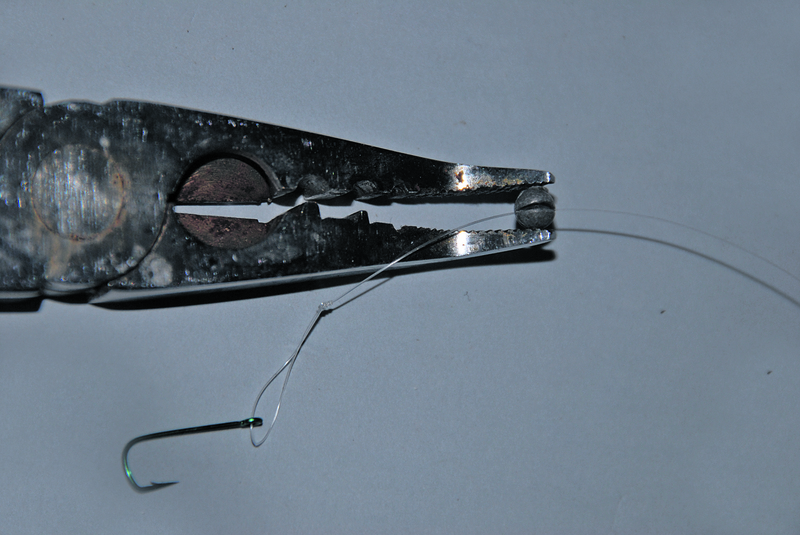 Split shot can be pinched on by squeezing the split side with some pliers once the line is in the slit. 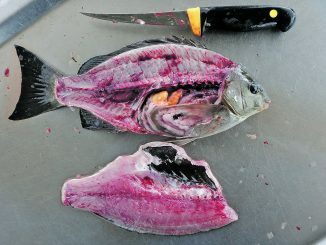 To remove, pinch the opposite side of the shot so the slit opens again. 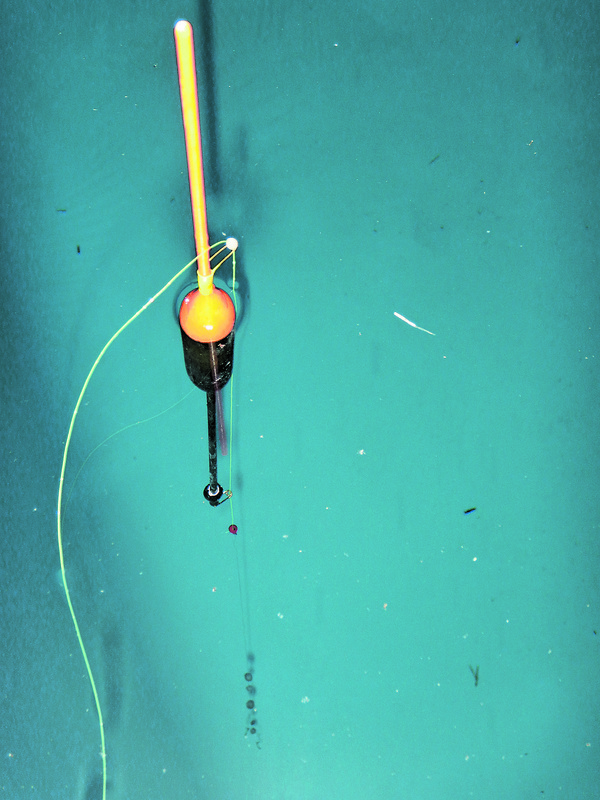 Once deployed the baited hooks will sink down until the float stopper hits the top of the float. 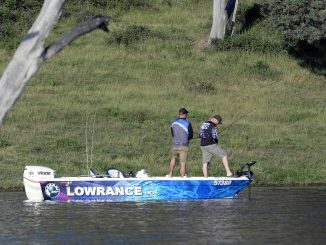 The stopper can be moved up or down the line so that you can probe different depths of water with your baits, as often the luderick will only feed at a determined depth. Back to Basics: Which is the ‘lecky for you?